I participated in this event on behalf of Wendy’s Bloggers for Pirate’s Booty. I received Pirate’s Booty products to facilitate my review. Do your kids like to tell cheesy jokes? What are their cheesiest jokes? 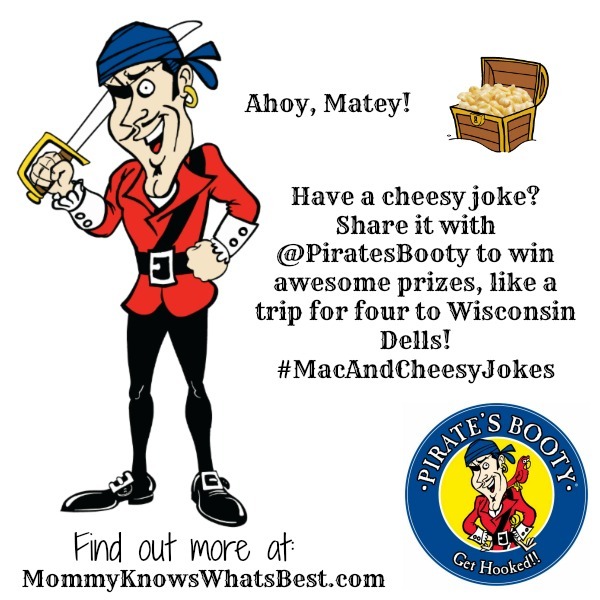 Did you know you could enter them in the Pirate’s Booty Mac & Cheese Cheesiest Jokes Contest to win a trip for four to Wisconsin Dells? 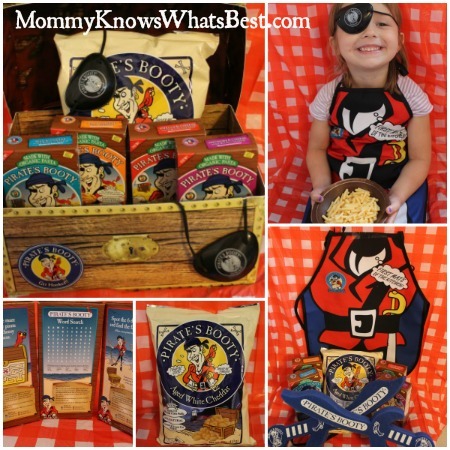 Pirate’s Booty makes tasty baked snacks that are healthier than traditional snacks. They now have their own Mac & Cheese made with organic pasta, 100% real cheese, and no artificial colors, flavors or preservatives. YUM! They sent me a fun treasure chest filled with four different kinds of the mac & cheese, a bag of their aged white cheddar rice and corn baked puffs plus props to make my own #MacAndCheesyJokes video! Both of my pirates wanted to help tell their cheesiest jokes. 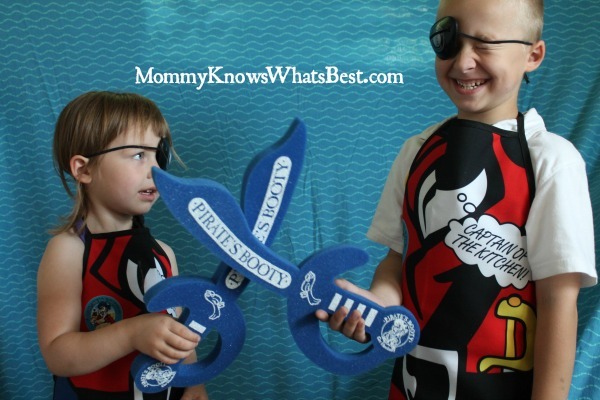 Find them both on my Instagram account telling their #MacAndCheesyJokes all dressed up in their pirates garb! 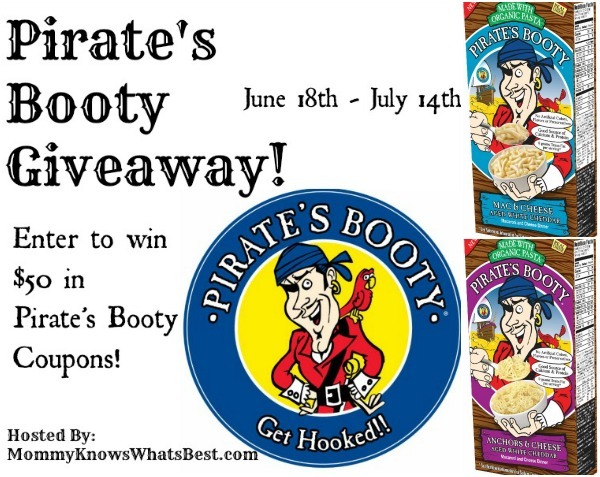 You and your kiddos can enter the Pirate’s Booty Mac & Cheese Cheesiest Joke contest! Prizes: First prize is a family vacation for four to Wisconsin Dells (includes round-trip coach flights, ground transport, hotel (4 days, 3 nights), and four amusement park tickets. 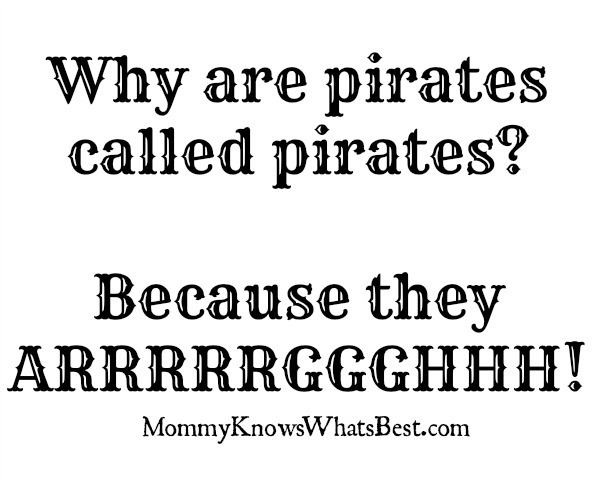 You can submit a joke or submit a photo/video of your kiddos telling the joke! 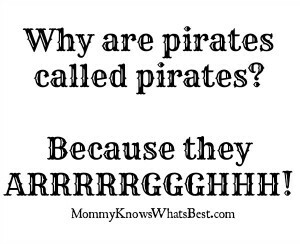 Have fun with it, me hearties! 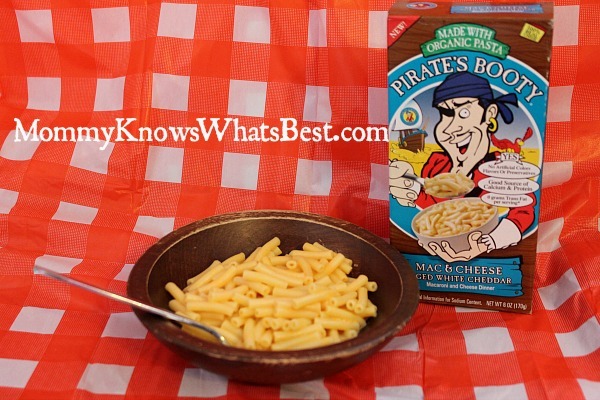 Disclosure: No purchase is necessary to enter the Pirate’s Booty Mac & Cheese Cheesiest Joke contest. One winner per household, email address or home address. If you have won this prize on another blog you are ineligible to win again. Winners must have a U.S.-based address to receive their prize. 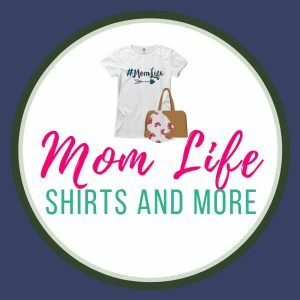 Mommy Knows What’s Best is not responsible for prize delivery. Void where prohibited. Please click here for more details. Don’t have a cheesy joke? No worries! 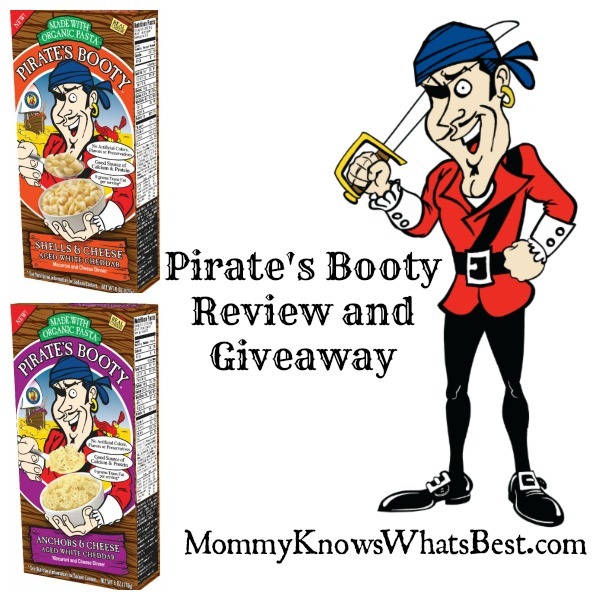 You can still enter to win $50 in Pirate’s Booty coupons right here! Use the Giveaway Tools form below to enter this giveaway! Don’t forget to come back every day for your daily entries! Disclosure: Mommy Knows What’s Best received products to facilitate this review, but is not responsible for prize delivery. Void where prohibited. One winner per household, email address or home address. If you have won this prize on another blog you are ineligible to win again. Winners must have a U.S.-based address to receive their prize. Q. How do you make an egg-roll? A. You push it! Q. What kind of shorts do clouds wear? A. Thunderwear! Hi! Why did the cookie go to the hospital? Because it felt crummy. lol That’s the joke I used to enter their contest. Dumb but cute. Thanks for the chance!! What religion are protons? Catholic, because they have mass! What is black and blue and has ink all over? A newspaper!! What do you call a prehistoric ghost? Past, present, and future walked into a bar…it was tense.